What can Phore Blockchain do for you? Fast, scalable, secure, and reliable transactions. Using Phore, you have options for both private and transparent transactions. Earn rewards for participation in the Phore network, similar to interest payments. The Phore Decentralized Marketplace is a real-world use for the Phore currency. An open-beta version of the marketplace is available now. Download the dAPP from the Marketplace page and start shopping. An advanced and flexible smart contract platform for building decentralized applications (dAPPs) that can be used in conjunction with private transactions, enabling new decentralized, privacy‑enabled business models that keep you in control of your money and your personal information. Widespread accessibility of the Phore currency and ease of use. Expertise and experience you can rely on for the design and development of Blockchain technologies, applications and services. The companies we have chosen as our partners are of the most promising and innovative in their respective fields. We know they will be great assets in the direction and growth process of Phore. 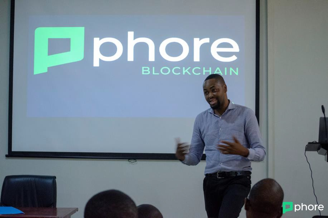 Continued Team Recruitment – Further specialists will be recruited to Phore, focusing on skills in developing and implementing Smart Contracts, as well as Micro-Lending and investment expert for Phore Labs. An institute will be set up within Phore to develop long-term e-commerce solutions, investments and partnerships. Its aim is to strengthen and sustain Phore, allowing it to quickly react and pivot to challenges in the future. Phore Labs, part of the Phore Foundation, will work as an incubator / seed investor, primarly identifying potentially cutting-edge digital services and products. These will be sourced from individuals, universities, start-ups and cooperatives around the world. With more mainstream interest in Cryptocurrency multiplying by the day it is important that Phore introduces a mobile wallet for the iPhone an iPad, which facilitates use by the large amount of Phore holders on IOS, bringing it to parity with Android. The process for creating and distributing this through the Apple Store is more complicated than Google Play, which is why the release has been scheduled to take longer. Following on from the Beta Testing period, further checks and tests will be carried out by the Core Developer(s) in order to bring the product closer to mind. Allows the number of transactions per block on the Phore blockchain to be increased. All signature data will be removed so that more transaction data can be packed in. To achieve Phore’s ambitious vision for 2018 we will be adding experienced developers dedicated to development of the Phore core blockchain technology, products and services, both as part of the Phore core team as well as increased developer participating within the Phore community. We are already in discussion with several talented developers about joining the Phore team and this will continue into Q1 2018. As part of this expansion, we will start a paid internship program, which will help us develop and attract the best blockchain graduates from universities around the world. Public Beta testing and initial release of the Phore decentralized marketplace. We will be rolling out a website that interacts with the Phore blockchain to transparantly show the Phore budget proposals, voting and status of the budget process. The Phore team will be developing a more automated, simpler method for setting up Phore masternodes. The Phore core development team will be continually maintaining and updating Phore’s code to ensure that the currency and wallets are safe and secure. This will continue troughout 2018. During Q1 we will also be making updates to support future hardware wallet and 3rd party wallet integrations. The Phore marketing team will launch a new and improved website which meets the high standard of the ambitious Phore vision. To make Phore more accessible and easier to use, the Android Wallet will be available from the Google store and provide a secure and speedy mobile connection with the Phore blockchain. Phore uses a customized version of the zerocoin protocol called zPHR to provide private transactions. Anyone with 10,000 Phore can set up and operate a Phore Masternode, which is online 24/7 and helps provide additional security, reliability, and performance to the Phore blockchain. 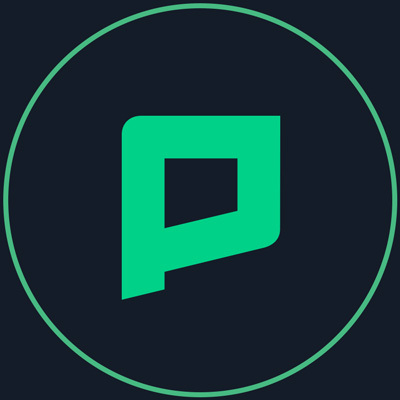 Given their large stake in Phore, Masternode owners have an even larger incentive to maintain the integrity and security of the Phore blockchain, and to help guide the growth and value of Phore over time. Phore kicked off in September 2017.Phore is a digital privacy cryptocurrency, an update and rebrand of KryptKoin (KTK) which was pre‑announced in May 2014, and whose distribution started on May 21 st , 2014.
qualified for a stake. In total, 500 stakes were distributed in 2 stages. Bonus KTK was given to those who held for 30 days. There was no ICO, and no developer pre‑mine. needed to be completely rewritten. This was accomplished with a coin swap from KryptKoin to the new Phore. The initial Phore code base was created from a fork of the PIVX project, which in turn was forked from Dash, all of which have roots going back to Bitcoin Core code. the total supply to just over 11 million Phore. A public RPC API will allow external developers to interact with the Phore blockchain (accepting payments, web wallets, checkout widgets) without running a full-node. The GoPHR Phore wallet will provide an alternative full node implementation improving security of consensus-related features and providing an optimized client for faster syncing and blockchain interaction. 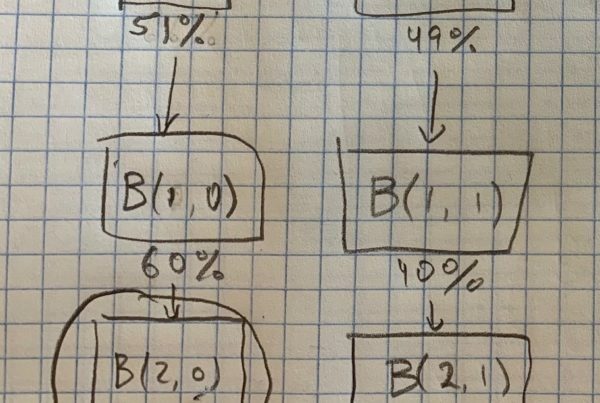 Secure sybil-resistant SPV wallets are not possible with a Proof-of-Stake blockchain, but we’re solving this problem by storing the state root of stakeable UTXOs in the block header allowing SPV clients to securely verify the chain. Project Soma will provide a new front-end to our Go client and implement a new stateless verification mode where full nodes provide Merkle proofs of transaction inputs and state storage is no longer required (full node without needing to store any data). Sharding splits the Phore blockchain into multiple smaller sidechains which can have different consensus rules and will provide a way to build on Phore without needing to hard fork. Sharding will also provide immense scaling opportunity and block finality without checkpoints or the current solution of providing a maximum reorganization depth. Up to 10 Digital Products and Services will receive investment. These investments will be made in the form of Phore currency and participants will sell exclusively through the Phore marketplace online for a fixed minimum period before being allowed to sell their product locally offline. The Phore Foundation will invest in projects to help them reach market and then reinvest profits from the sale of these into further Lab projects. Synapse will be a certain type of shard built into Project Nucleus which will allow for smart contract execution on the Phore blockchain. Bug fixes and several new features will be introduced to take the Phore Marketplace out of open beta status, to full release. Integration of Project Axon secure SPV protocol into the Phore Marketplace embedded wallet. Adds support for buying and selling physical and digital goods and services with other cryptocurrencies in addition to Phore. The Phore Marketplace will support decentralized, peer-to-peer cryptocurrency trading. Fully vetted moderators will be available to settle any potential disputes between sellers and buyers in the Phore Marketplace. Implemented into the Phore Marketplace, this is like a decentralized Kickstarter or Iniegogo platform. Individuals, partnerships, or small to mid-sized startups with a brilliant invention or service can use the Phore platform to raise money with much lower fees than other traditional platforms. The Phore Marketplace will be released in a mobile app that people can use on the go, and in developing countries where PC’s are not commonly used. The Phore Marketplace will be accessible from a web browser and will not require a separate application to be installed. The Phore Whitepaper will be updated align with the current vision for Phore Blockchain. PHR will be integrated into a global network of Point-of-Sale (PoS) systems for retail use and ATMs for increased accessibility. HD wallets allow for saving and restoring entire wallets with a single seed phrase. Payment codes will enhance convenience and privacy by allowing Phore users to share reusable payment codes and build contact lists, while still generating unique Phore addresses for each transaction to prevent revealing your balance or other metadata. Additional wallet transaction features built on top of the existing Phore protocol to make both Zerocoin and transparent transactions more fungible and private.